SELLER SAYS MAKE AN OFFER, HE WILL CONSIDER ALL OFFERS. 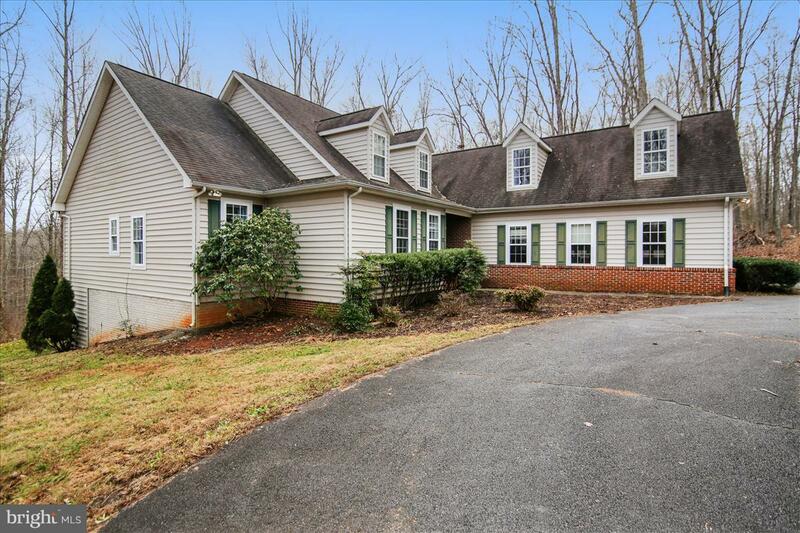 *AS YOU DRIVE DOWN THE TREE LINED DRIVE YOU COME TO THIS HANDSOME HOME WHICH SITS PERFECTLY ON IT'S 3 ACRE LOT OFFERING PRIVACY WITH OUT BEING ISOLATED. JUST FRESHLY PAINTED AND READY FOR THE NEW OWNER. 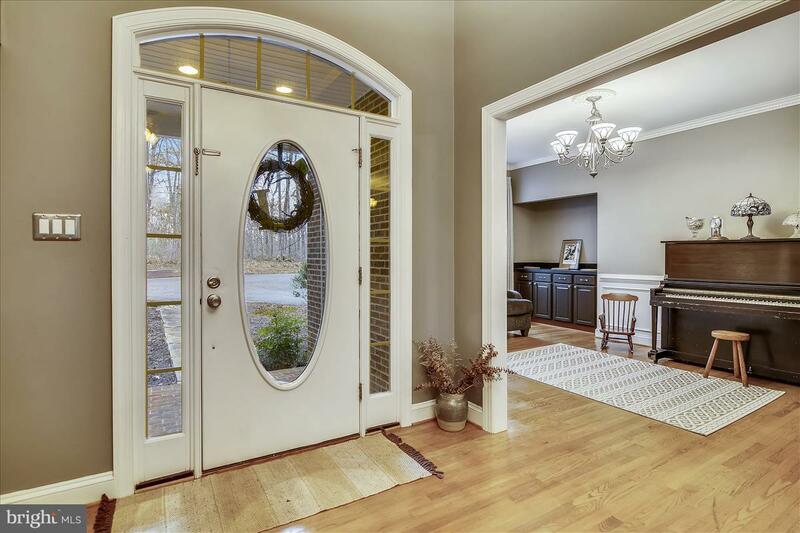 *ENTER THIS LARGE HOME THROUGH THE GRACEFUL FOYER YOU DISCOVER THIS 5 BEDROOM AND 4.5 BATH HOME. 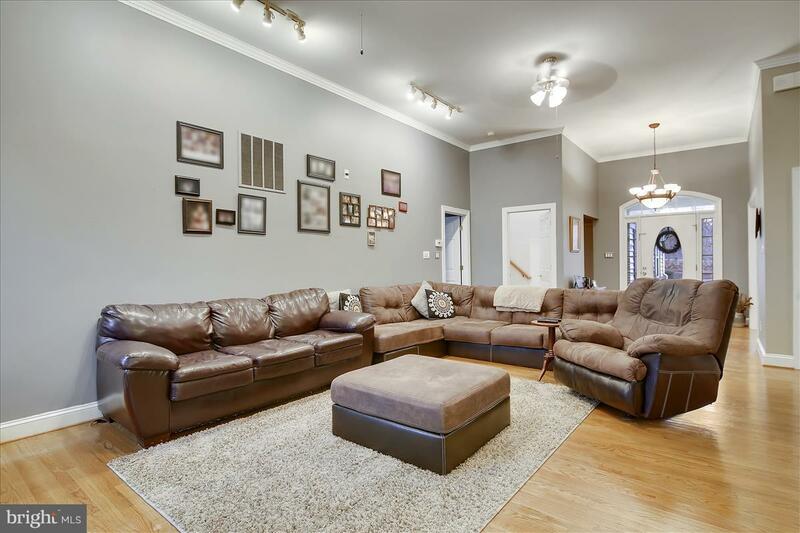 *MAIN FLOOR: FEATURES 3 BR'S AND 2 FULL BA'S, FORMAL DINING RM WITH HARDWOOD FLOORS, CHAIR RAIL/ SHADOW BOX DETAIL ON WALLS, BUILT INS AND MIRRORED WALL. *LARGE GREAT ROOM WITH GAS FIREPLACE, HARDWOOD FLOORS CONVENIENTLY LOCATED OFF THE KITCHEN AND BREAKFAST AREA. 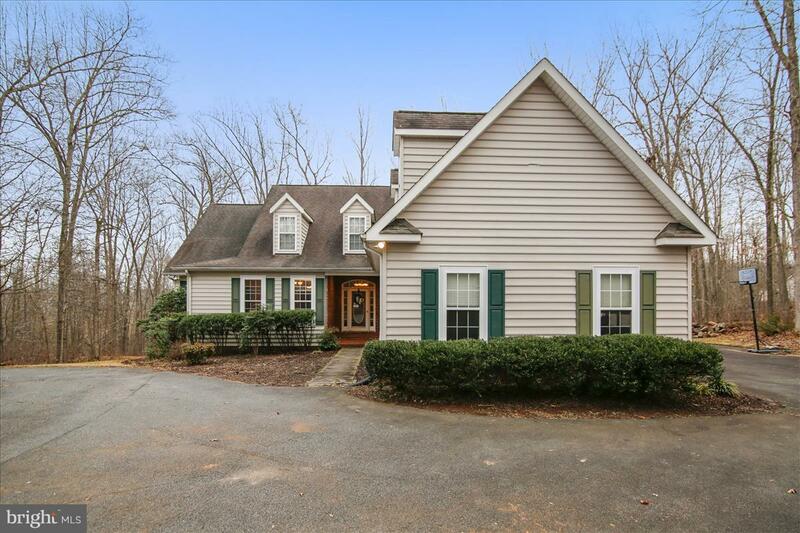 *EFFICIENTLY DESIGNED KITCHEN WITH EATING COUNTER, PANTRY AND HARDWOOD FLOORS, *BREAKFAST AREA WITH HARDWOOD FLOORS LEADS TO A DELIGHTFUL SCREENED PORCH TO ENJOY THE PRIVACY OF THE BACK YARD. FROM THERE YOU WANDER TO A LARGE DECK WITH FIRE PIT. DECK STAIRS LEAD TO THE BACK YARD. LOVELY SLATE PATIO WHICH CAN BE ACCESSED FROM THE REAR WALK OUT OUT FINISHED BASEMENT. *MASTER BR SUITE WITH TRAY CEILING IS SITUATED ON ONE SIDE OF THE HOME (SPLIT BEDROOM PLAN) FROM OTHER BR'S ON THIS FLOOR OFFERS LARGE WIC AND AN ADDITIONAL CLOSET IN THE SITTING AREA IN MASTER BEDROOM. MBR BATH COMPLETE WITH JETTED TUB AND SEPARATE SHOWER. *BONUS SUITE WITH FULL BATH OVER THE 3 CAR GARAGE OFFERS EXTRA STORAGE AND IS A PRIVATE GET AWAY FOR GUESTS OR TEENAGERS. *LOWER LEVEL: LARGE REC ROOM WITH SPACE FOR A POOL TABLE AND SEATING AREA YOU CAN HAVE A VERY LARGE FLAT SCREENED TV. ADDITIONAL FEATURES; WET BAR WITH WINE COOLER AND ICE MAKER, SEPARATE WINE CLOSET, LARGE WALK IN CLOSET FOR STORAGE, FULL BATH , 5TH BEDROOM AND OFFICE. LARGE UTILITY ROOM. LOADS OF STORAGE. WINDOWS ACROSS THE ENTIRE BACK OF HOME ALLOWS FOR LOTS OF NATURAL LIGHT. *EXTERIOR: ROOF IS ARCHITECTURAL SHINGLES, BEADED SIDING, CIRCULAR PAVED DRIVE. *HEAT PUMP WITH GAS PROPANE BACK-UP HEAT. *COME AND VISIT WE THINK YOU WILL BE PLEASED YOU DID.